Woohoo! I finally posted an image at the top of the page. It only took me an hour of sorting through photos, cropping, editing, discarding ... and finally I settled on the pumpkins. So, now everyone join in and do a happy dance with me! Of course, this means I'll have to change it when the next holiday rolls around, but I'll take enough pictures between now and then to have an arsenal to choose from. What do you guys think? 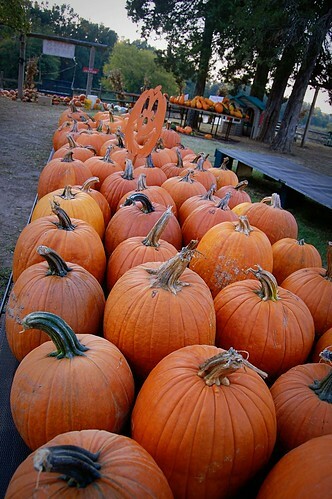 Do you like the pumpkins in the banner above? Just for reference (and to share one of my trade secrets... shhh!) I used the image below. I cropped it, resized it to the proper width and applied Pioneer Woman's Soft & Faded Action to it to give it that rustic, not quite black and white, not quite sepia, look. It took me a minute to figure out what it was because it looks exactly like a scanning electron microscope picture. @lisa - yay! b&w! ironically, J hates anytime I do b&w. he instantly snaps "i don't like that". i told him to keep his b&w opinions to himself in the future. hmph, kids! @dawankler - i have no idea what a "scanning electron microscope picture" is, smart guy.